Dovetail log Packages are assembled in our yard and are ready to load on your truck as a shell only , or can be shipped & assembled on your foundation as a complete structure. 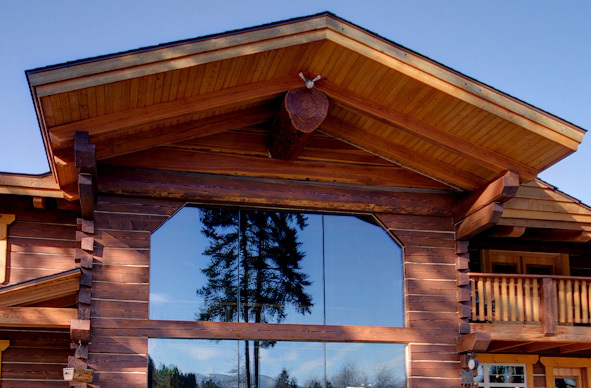 Damstrom Log & Timber Homes is committed to producing some of the finest quality hand crafted log and heavy timber homes available today. 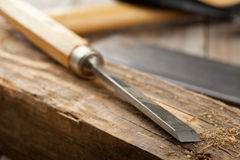 Our craftsmen are fully trained in the latest techniques allowing us to offer you, the home buyer, a structure of comfort and beauty to enjoy now and for years to come. 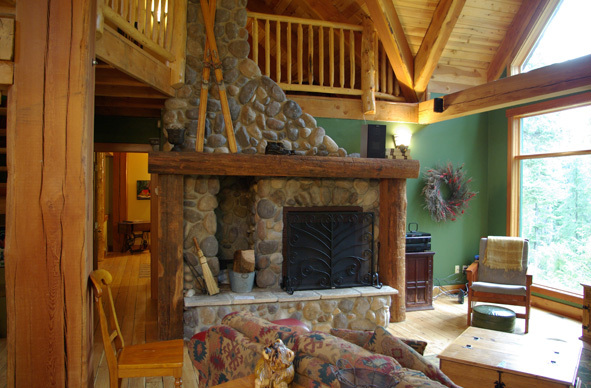 Today at Damstrom Log and Timber Homes, we maintain the heritage of Scandinavian craftsmanship and style. Our trademark is the use of the Traditional Swedish Dovetail Notch with any of three different styles of logs: D-log, Full Round Scribed, and Flat on Flat Chinked. This notch is one of the most exacting expressions of a craftsman's skill. This effort yields benefits in both structural integrity and decay resistance. This building system has been used for centuries in many European countries, particularly Sweden where it is still used today. In 1903, Bob's Grandfather came from Sweden as a teenager working with his uncle, a skilled log builder, which together they built many pioneer homes of this style in the area, many of which are still used today. "If my Grandfather had my tools, how would he do it?" 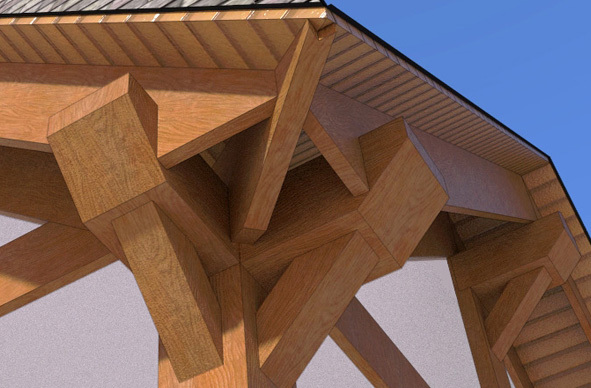 Traditional craft, Canadian wood and modern means - that's the Damstrom Log and Timber Homes recipe for beautiful custom homes.